EXECUTIVE HOME WITH CUSTOM FEATURES & HARDWOOD FLOORS. ENJOY NATURE AND ENTERTAIN FROM CUSTOM KITCHEN OPEN TO GREAT ROOM WITH STONE FIREPLACE & SCREENED PORCH, ALL WITH VIEWS OF LARGE LUSH FENCED BACKYARD. YOUR KITCHEN FEATURES 42" CABINETS, GENEROUS GRANITE COUNTER SPACE, STAINLESS APPLIANCES & TILE. THIS CUSTOM HOME ALSO FEATURES LARGE MASTER BEDROOM WITH SITTING ROOM + 2 LARGE BEDROOMS UP AND 1 DOWN WITH ADJACENT FULL BATH. LIVE ON A QUIET STREET IN THE UPSCALE COMMUNITY OF GOVERNORS POINTE. AMENITIES INCLUDE CLUB HOUSE, GYM, SALT WATER POOL, TENNIS COURTS, BOCCIE CT, BOAT SLIPS FOR DAY TRIPS & GRILLING PATIO FOR PARTIES AND LATE NIGHT FUN NEAR POOL. GOVERNORS POINTE IS CLOSE TO DOD, LANGLEY & COAST GUARD BASES AS WELL AS SENTARA, BON SECOURS/MARYVIEW, PORTSMOUTH NAVAL HOSPITAL & HARBOUR VIEW MEDICAL FACILITIES. Ready to visit 406 Hastings? Request a free property tour! Send me more information about the listing at 406 Hastings, Suffolk, VA 23436, MLS# 10177648. 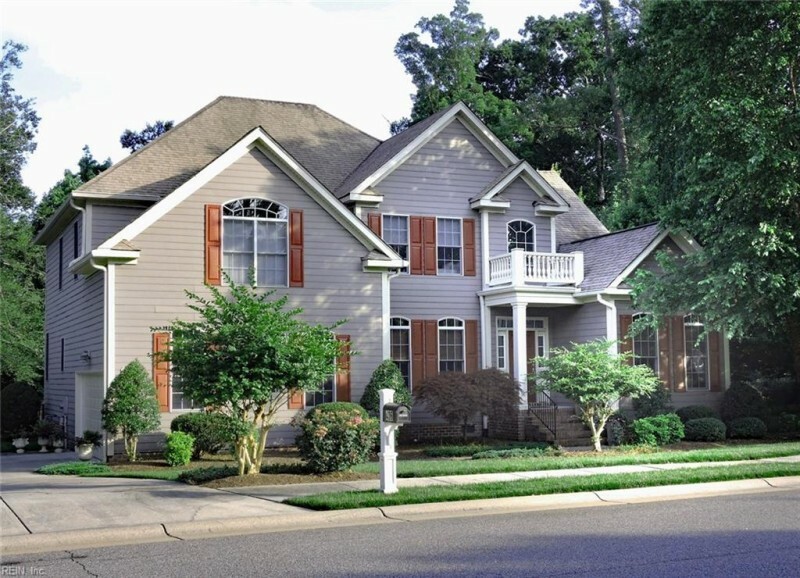 This 4 bedroom, 3 bathroom home located at 406 Hastings, Suffolk, VA 23436 has approximately 3,554 square feet. It is currently listed for $455,000 and has a price per sqft of $12,802. This home is currently Sold under the MLS#: 10177648. This listing is provided by Rose & Womble Realty Company. 406 Hastings Place, Suffolk was built in 2005. It has Garage Att 2 Car, 2 Space, Multi Car parking.The kitchen includes 220 V Elec, Dishwasher, Disposal, Dryer Hookup, Microwave, Gas Range, Refrigerator, Washer Hookup. 406 Hastings is part of the Governors Pointe neighborhood located in 23436.